It worked for storing the kids’ papers and writing stuff on the white board but now it was time to make it prettier. I mean, yes, organization is fun but aesthetics are where it’s at, yo! Let’s start at the top, shall we? I can’t reach that area without a step stool so I knew it wouldn’t be used for everyday things needed to run a house. So I figured I’d make it nice to look at but easy to change if I wanted. I dug through my Frames Bin (don’t pretend like you don’t have one) and pulled out some super cheap and light-weight frames. I took the glass parts out, not to be reused here. I spray painted them Rustoleum’s Lagoon, Blossom White and Aqua (the color I’ve got going on in the rest of the kitchen). I then glued magnets to the backs of all the frames. Instant pretty art and photo holders! I love that family picture my daughter drew when she was three. I’m the huge one in the middle. I look exactly like Mrs. Puff from Spongebob. Hilarious. Moving down, I added a little vinyl lettering on my Target purchased magnetic organizer just in case anyone was confused as to what this area is. I stocked it as well. I use blank 3×5 notecards for everything and now I’ll be able to find one within 5 seconds! Heavenly. I purchased these buckets from the dollar section at Target a while ago with this exact project in mind… love it when a plan comes together! I used magnetic clips to hold them up and so far they are working perfectly. I don’t know what I’ll put in the bottom two buckets but I’m sure they won’t stay empty for long. I also found this white magnetic mail holder at WalCrap yesterday. Up until now I’ve had no designated place for mail…how have we functioned? Now when my husband comes home from a week of being out of town I won’t be running around trying to remember where I put all his mail from that week. It’s the little things in life, really. And finally, if you were wondering where my recycle bucket went, the answer is the garage. I got this black $5 wastebasket to take its place. The black kind of blends in with everything else making it less of an eye sore. I added a little vinyl recycle symbol so even visitors would know where to toss their soda cans. So that’s it! Anderson Central is up and running! I’m happy that I have a lot of things up there but still have some open areas to pin up important and time sensitive things. Speaking of pinning, do you Pinterest? You should! Ok…hello more fabulously wonderful thingies going on!! Love those little flower magnets, btw. ::wink wink:: And I told my honey the other day that he needed to look at your blog to see what you did in your kitchen and he said yeah that magnet thing? And I said yeah isn’t it awesome? And he said yeah, let’s do that. Hee Hee!!! I’m so proud of you for recycling. I mean, because of COURSE I do…alllll the time. All the time. And yes again, I’m a Pinterest addict. Just found your blog and it is becoming my favorite! Great ideas that are easy to implement…thanks! I so wish I had somewhere to make a “command” center…just like you! I love love love this!! Thanks! wow – that is genius! thanks for sharing! came over from flamingtotoes…hope you will check out my entry too! Landee, love the new additions! I love this idea! I just have a wooden wall in that place in my kitchen, and this would make it so much more functional!! This is BEAUTIFUL,I love it all;)! Feels so nice to be organized,huh? And I am motivated by your what’s for dinner Mom dry erase board!!! Super cool, thanks for sharing! LOVE IT! What I love even more is that you called it “WalCrap” A woman after my own heart regarding that store 🙂 Stopping by from Tip Junkie and will be following now! I am absolutely giddy over those buckets! OMG! Love, Love, Love!! I love the buckets! Seems like this transformation got u. I have been following how this project has evolved. I like the flexibility of your command center! I found you on Tip Junkie, and I just LOVE what you did. I know what I’m doing this weekend! By the way, I am hosting a giveaway right now & would love to have you check it out! Love it! The colors look fabulous and the buckets are so cute. If you get a chance, I would love it if you could share this at my link party, The Creative Spark. Have a great night! Just wanted to let you know that I will be featuring this tomorrow. I think it is just fabulous! Thanks so much for linking up to The Creative Spark. I would love to see you back again! Oh God Love You! Not only is this a fantastic idea but that post made me laugh really hard. I think Jimmy Hoffa may be under my fridge btw. I am gonna do this on the side of my fridge. It just looks so pretty and put together. Love It! LOVE this idea! So going to implement it!!! I love this, and need a similar solution in my house! We just bought our new home last year and I am still looking for a good spot for my “command center”, and haven’t carved it out yet. Now that school has begun, the situation is getting more urgent! Love this!! I have been sitting here reading your blog posts to my husband for over an hour, laughing like a crazy lady the whole time! Pretty sure if you lived in Kentucky I would want to be your best friend! Then we could go to Walcrap together and I could enjoy your sarcasm in person! But all that is beside the real point…love your work! Cute, fun, easy! Keep it up! Just saw this on Pinterest and love it in so many ways. Genius. Love the little buckets with the magnet clips, and the storage for each kids’ school papers. I am pinning it!! Thanks! This is FANTASTIC! I need to do this with my Fridge since mine is one HUGE dysfunctional MESS! LOVE this! I have the EXACT same “wall” thingie going on next to my fridge. I used to tape the kids’ artwork on it, but that just looked sloppy. And then I realized that artwork from when my 13 year old was 5 meant that I was lazy! I’m sooooo copying this. Thank you!!! found you on pinterest. where did you get the holders for your kids’ papers? i’ve been looking for something like that with no luck. I’m also wondering where you bought the holders to hold the papers? Thanks. I love this! Does anyone have ideas for a command center in the same vertical type of space but NOT with magnetic sheet metal? I have the perfect spot but I dont want to do the metal installation. We are renters and also I just don’t want to go to all that trouble right now. This command center is AWESOME! Love the magnetic frames for artwork 🙂 I featured this idea on my Facebook page today! I am new to your site.. came here from Imperfect homemaking. I remembered seeing a command center on the side of a fridge. I’m working on mine now! I can’t wait to blog about the finished product. So far, I’ve only manage to make my own mail organizer on the side of the fridge, but I am recovering from a tonsillectomy, so I’m a little slow! Thanks for this post. I’m sooooo pinning this! Hopefully, I can go out and get some little buckets. I was thinking soup cans covered in pretty scrapbook paper, but I’m sick of seeing soup! What is the white area that you posted your dinner menu? Love this idea and have already talked to the hubby about doing it in our kitchen. oh my word, I NEED this!!! Now, to get the supplies and have the get go to do it! Fabulous and so pleasing to the eyes! I love this!! How did you label the clear plastic paper holders? I love how that looks!! I LOVE THIS! I was also wondering where you purchased the clear plastic paper holders and where you purchased the vinyl for the names on them? THANKS so much for sharing! 1) I got the plastic file bins at Staples. 2) I used E6000 glue to glue the magnets on the back. I also got the STRONGEST magnets I could find! I didn’t want anything falling off later or sliding down. I’m doing it! The guys at the A/C place were great about the sheet metal! Can’t wait to finish this project! Can you tell me what you attached the sheet metal with? I just dont want to damage the wood in case I want to remove the metal down the road. I guess if I used really small nails the holes could be filled with wood glue. Thank you for the great idea! I just installed this in my kitchen and I am so excited! A question though-how are you cleaning the sheet metal? The person I got it from said I should not get it wet at all, or it will rust. Just curious on your thoughts. Thanks for the great idea! I am wondering where you found the clean, 3 tiered, paper organizer. I’m not really sure what you would call it or where I can find one. Thank You! Oops…I meant the clear, 3 tiered, paper organizer. I’ve been wanting to do this very thing in my kitchen but I had no idea where to get custom-cut magnetic sheet metal. Thanks so much for the tip about heating and air companies. My local place is selling me a piece of sheet metal for about $40! I never would’ve thought to call them. Brilliant idea! Thanks for the great post! 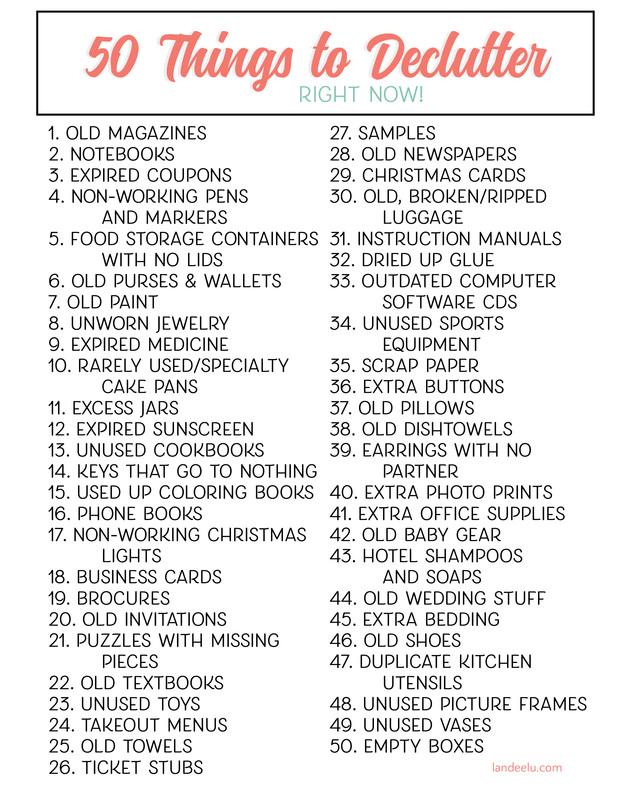 I shared some of your organizing ideas in today’s post on http://www.momhomeguide.com. Where did you get the white board that you wrote the menu on? You have inspired me! We have the same setup in our kitchen and this is exactly what I want to do. I have a piece of sheet metal sitting in our dining room floor right now! Thanks for the tip on ordering it from a heating and air place… mine was $40 (for 24″ x 95″)… versus $200+ from an online “special order sheet metal” place. Yipee! I ADORE this!! Its going in my house too!! I like these creative idea, i am willing to make same like this for my plastic card hanging. Love this I am wanting to do it at our new house. How did you get the file folders to attach? Did you just add magnets onto the backs of those as well? Just love it!!! Especially the buckets! What a cool idea! Hi! I loved your system so much that I went to Staples and bought the file holder. When I asked the sales assoc. for help with magnets, he gave me a roll of adhesive magnets. I showed him what I was using it for and he said it should work. Well, it didn’t. The file holder fell and cracked. So disappointed. Can you tell me what magnets you used and where you bought them? Thanks! I am considering doing this soon! But I’m wondering how is it holding up for you?? I have 5 boys & want to make sure it stays functional! Does the sheet metal stay nice or does it rust or oxidize? Thanks for your help!! thanks to you! Husband and I made one in the kitchen!!! I just finished my command center. GREAT idea for a wasted space in the kitchen. My cabinets are white though and I didn’t love the way the sheet metal looked. A little too “industrial” for our country-style kitchen (side note, I found sheet metal at Lowe’s in the area with all the duct work. It only cost me $20). The easiest and cheapest solution was to simply cover it in contact paper (shelf liner). A roll cost me $5 and I didn’t even use 1/4 of it. They had lots of colors/patterns to choose from. I chose white and now it blends perfectly with my cabinets and just looks like this lovely floating display that’s magically staying up there. LOVE IT! Thanks for the great idea. I love your ideas and have done this on the cabinets on the side of my fridge. What glue/magnet combination did you use? I’m having a bit of trouble keep my magnets glued on to the plastic wall file folders. I’ve tried a few different things. Want to put enough that they won’t slip down the sheet metal. Thank you thank you thank you for this fantastic idea! My husband installed one in our kitchen on the weekend and it looks awesome! I’m so excited to finally clean off my fridge and get my kids school papers organized. They are in grade 3 and kindergarten (with one more not it school yet) so we still have time to install some better habits! Keep on the great ideas! There can be nothing better than finding all your things at a single place. This idea of using the magnetic organizer is great. Keep sharing more ideas.